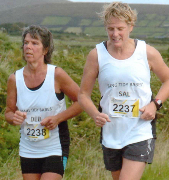 There are a range of running events across the country and abroad. From running the London marathon to doing a sponsored 5km walk, there is something for everyone. Running events are a great way to raise money and get fit, whilst having fun. Participation is simple! Let us know and we can give you all the support, including training plans, sponsor forms and fundraising ideas. If you secure your own place in an event, we do not set any minimum sponsorship.